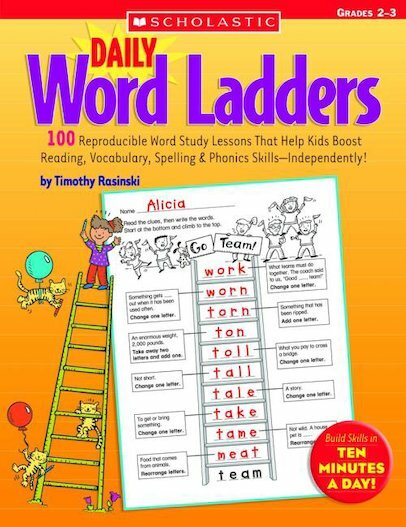 One hundred irresistible word study “ladders.” Kids start at the bottom, read clues on each rung, then change and rearrange letters to make words until they reach the top and find the answer! Strengthens decoding and spelling skills, and builds fluency! From Timothy Rasinski!